For quote sometime now, we have been thinking of how to improve our old website – so we ended up making a new Crest Marquees website. We wanted a new, better experience for You, Dear Customer, a site that just looks better and is more convenient to use. 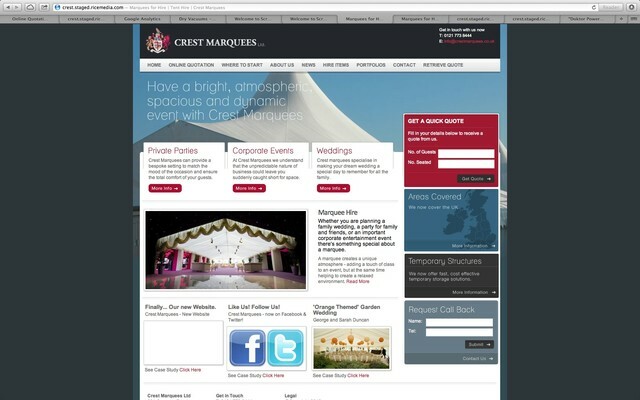 This the result – Crest Marquees’ new website. Make sure to browse – and check out our new online quotation system.